Founded in 1989, the Lane Amateur Hockey Association (LAHA) and the Eugene Jr. 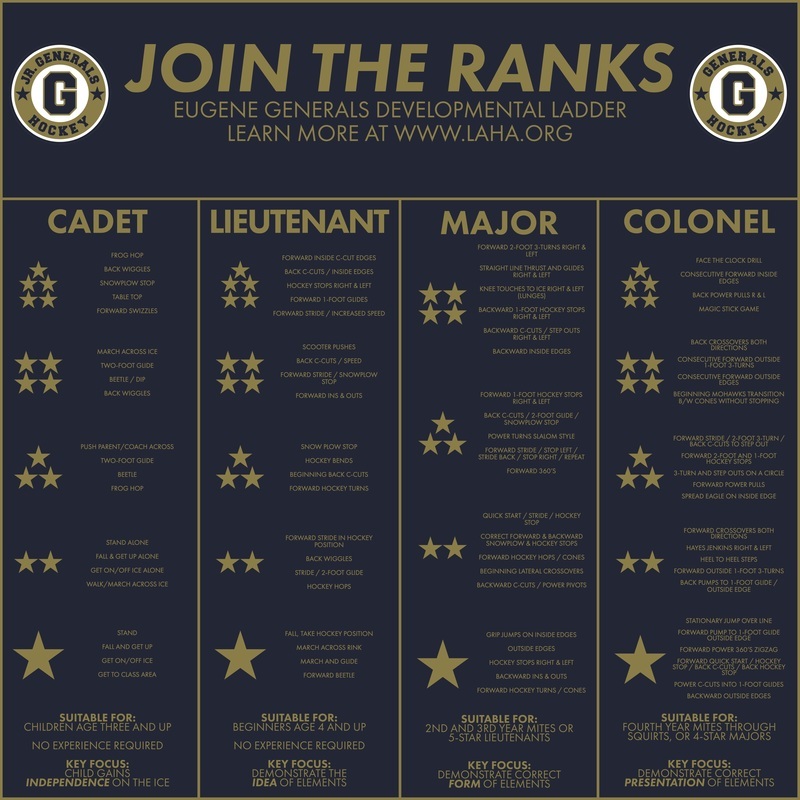 Generals are a non-profit organization that aims to promote citizenship, sportsmanship, and physical development among the youth of Eugene, Springfield, and the Willamette Valley. LAHA accomplishes this by sponsoring and promoting organized ice hockey for boys and girls, ranging from 4 to 18 years of age. We are in compliance with the rules and regulations of USA Hockey and the Oregon State Hockey Association (OSHA). LAHA and the Jr. Generals offer a varying number of teams, leagues, and overall options to choose from so you can find the perfect fit for your young one(s) on the ice. Wide-ranging, expansive hockey season that offers a number of teams and options. Short season, two-level format with three-on-three, cross-ice games and no travel involved. 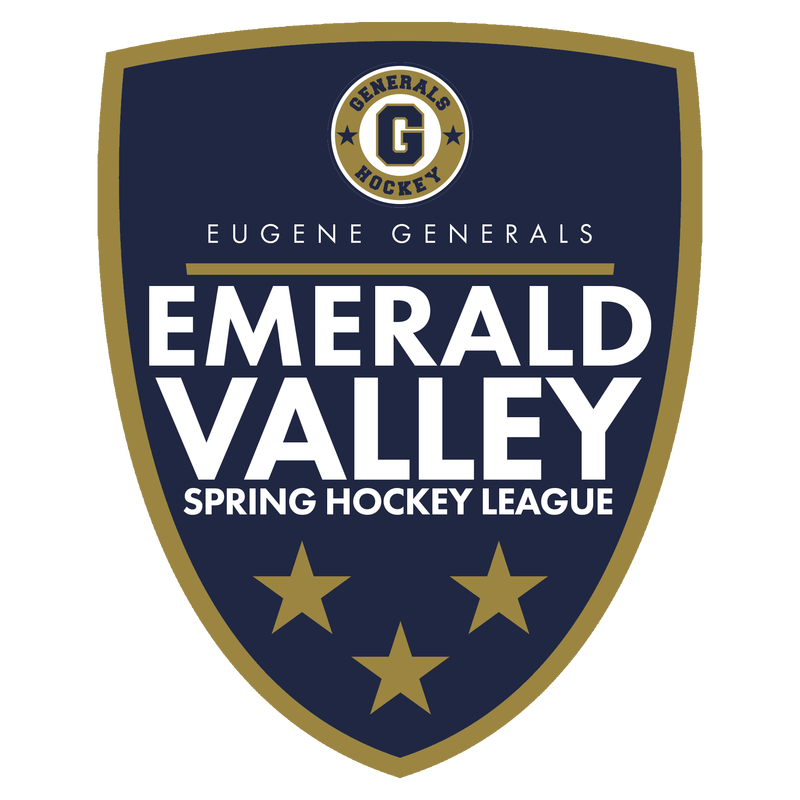 The Lane Amateur Hockey Association and the Eugene Jr. 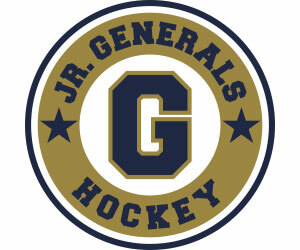 Generals are here to help your young one(s) find their own path along the road map of hockey. Starting with our Intro to Hockey program, LAHA provides youth players with a structure that is most conducive to personal and physical development while simultaneously emphasizing fun, sportsmanship, and and citizenship.